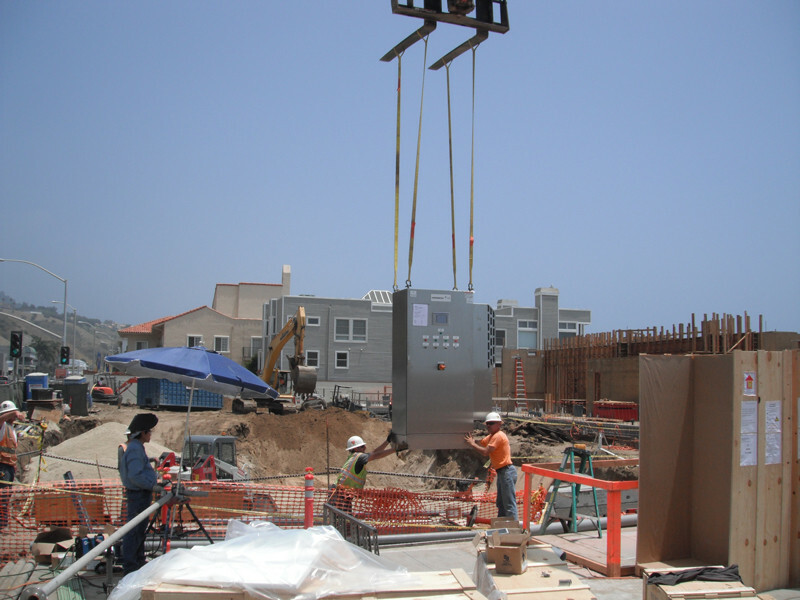 DESCRIPTION: IWS was contracted to complete the construction and Installation of two (2) independent wastewater treatment plants and related equipment for a private development company that was constructing two high end restaurants along Pacific Coast Highway in Malibu, CA. The two treatments systems are dedicated to servicing this $20 million commercial development complex, which features two world class restaurants. IWS worked with the project engineer and the development team to assist in the layout of the treatment system to address constructability issues. The project was unique in that all the treatment system components are located below grade due to the limited real estate available for the building and parking. Due to the location in sandy soil and proximity to the Pacific Ocean and tidal influences on groundwater, the underground work required extensive dewatering and shoring systems.During the dewatering phase, IWS pumped and treated over 2 million gallons of groundwater and discharged it directly into the ocean after obtaining the appropriate NPDES discharge permits.